In the early stage of psoriasis separate papules of pink color with distinct edges appear on the skin. 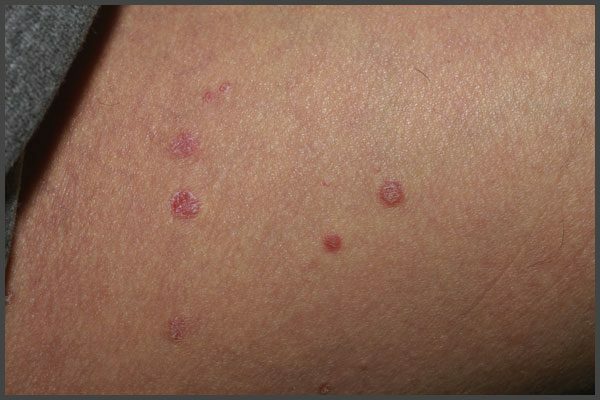 Scales of gray, silvery or reddish color arise on the top of the papules. They easily peel off. 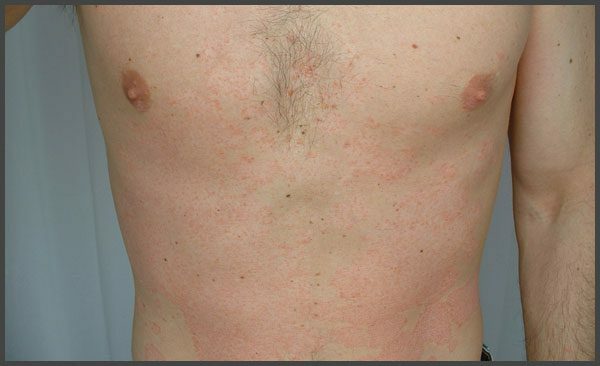 The rash is accompanied by itching and increased sensitivity (tenderness) of the skin.